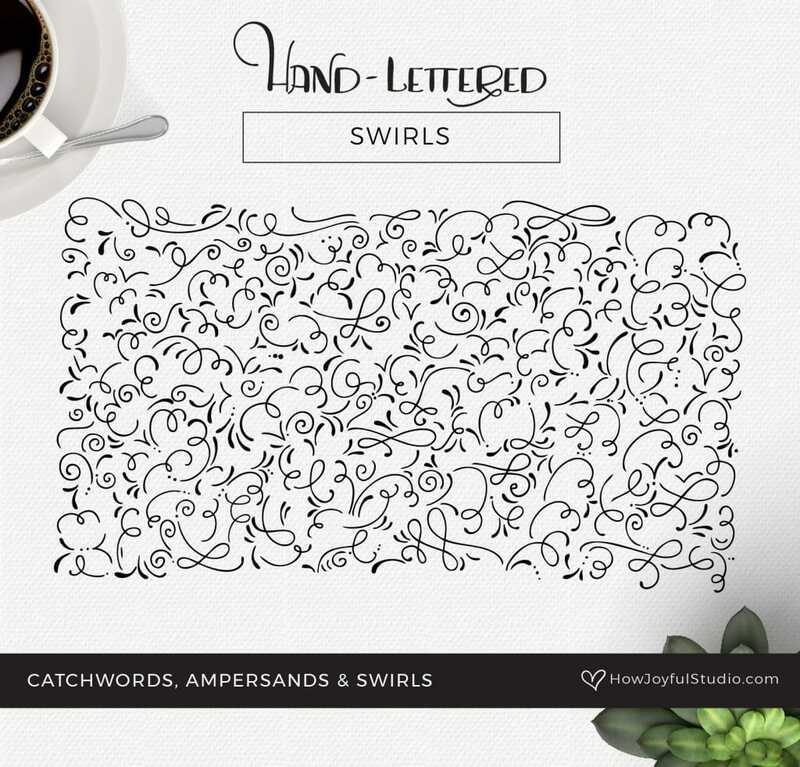 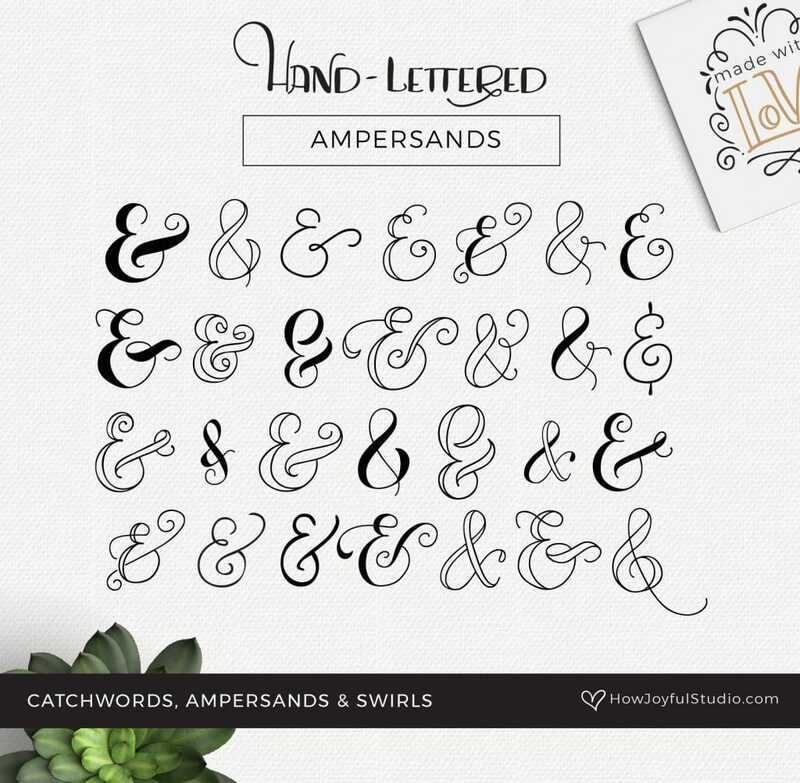 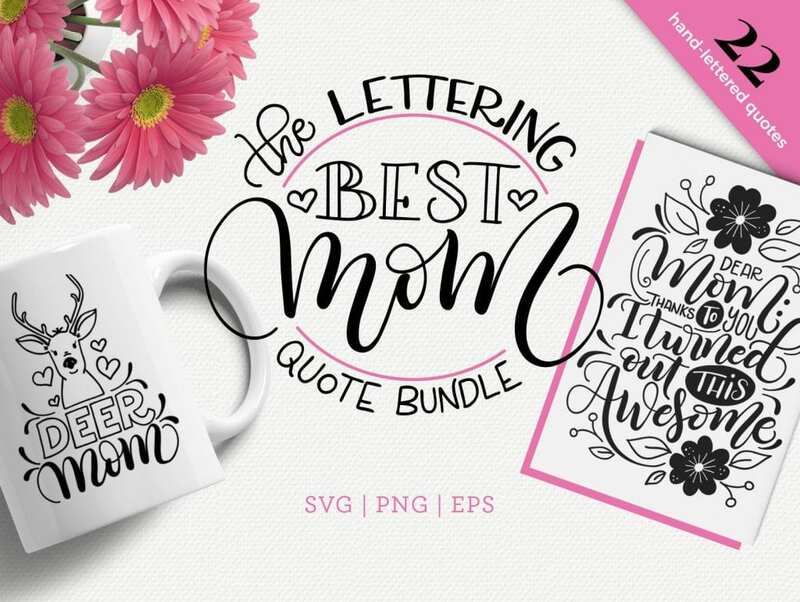 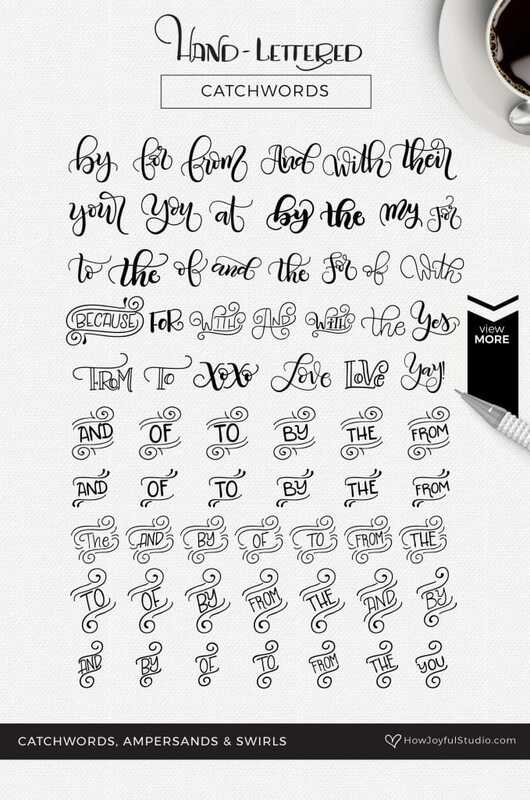 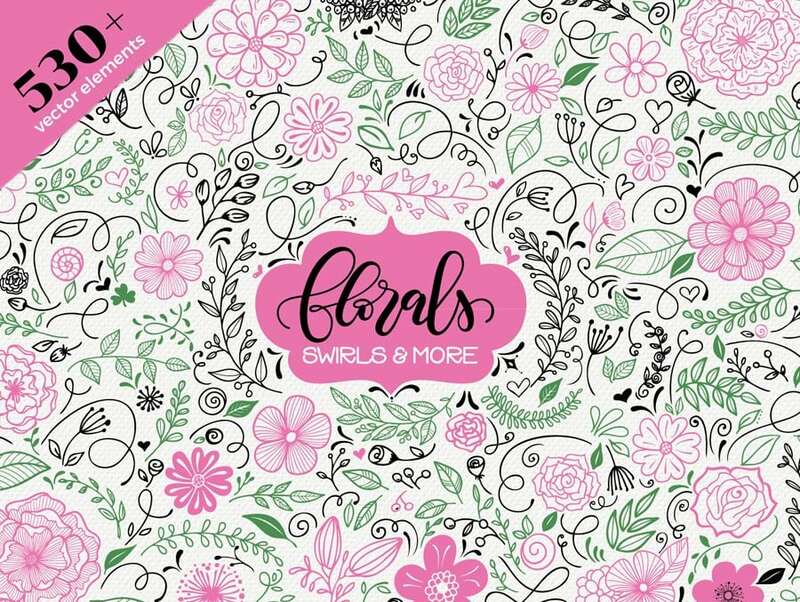 Hand lettered vector catchwords, ampersands & swirls. 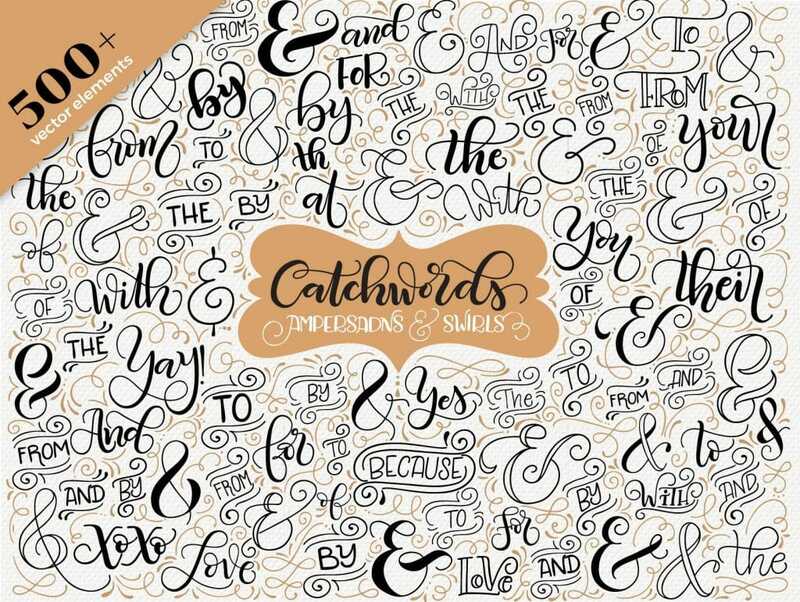 Perfect to embellish any project, to use in invitations, Save the dates, logos, or anything you can imagine. 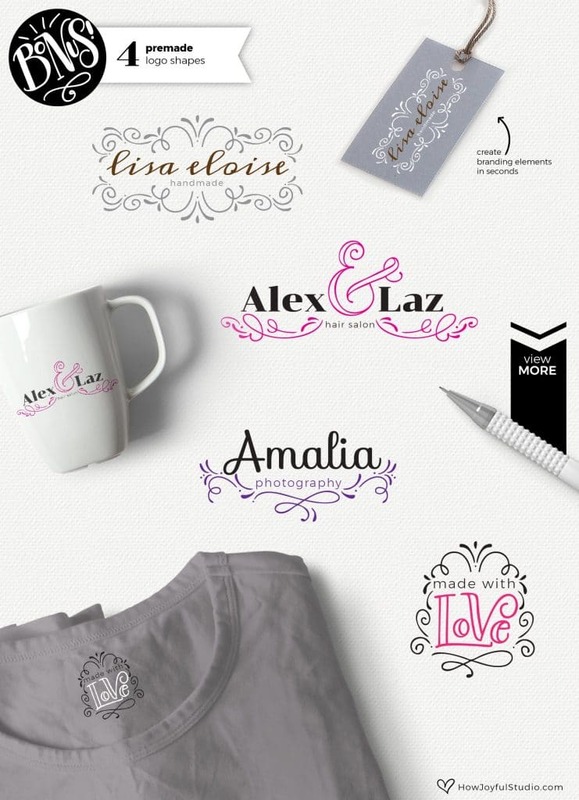 Each logo is separated in different layers (Illustrator file), so you can locate it and access easily.